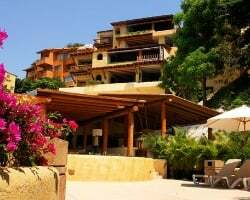 *Pacifica Aqua* is a hillside resort along the edge of Palmer Bay in Ixtapa. 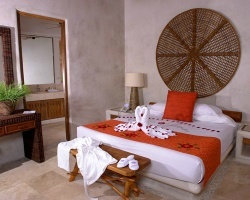 Each richly appointed 1 or 2 bedroom suite features a private mini-swimming pool, fully equipped kitchen, and room service. Families, adults, and singles will all find something to enjoy at this seaside retreat. Indulge in a full service massage, or play a game on the 18-hole professional golf course. Take a dip in one of the 6 on-site swimming pools, or book an aquatic skiing or parachuting adventure tour. 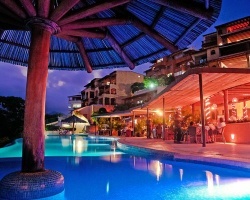 This resort is all-inclusive, so guests may sample delicious local or international cuisine at the resort's restaurants. For more information about Pacifica Aqua, visit www.pacifica.com.mx. Corporate Special. Buy 3 consecutive weeks, get 4th week for free! Fixed 4 weeks in an exotic Mexican retreat. Motivated Seller!! Beautiful ocean front resort! Annual floating week! RTU until 2036! Buyer may receive a title fee credit, inquire for details! Exotic oceanfront resort overlooking Palmer Bay! Yearly usage in Red season week! Rtu until 2036! Price negotiable!